Human life is ever vulnerable and unpredictable. It’s also a fact of life that nobody is immune from this uncertainty. People face misfortune for countless reasons. Even when someone faces a difficult situation due to his or her ownmistakes, that doesn’t mean the person should be ignored or not afforded sympathy. Helping people in need is, in fact, an innate inclination of the human conscience. Anyone who is familiar with world religions recognizes that piety and charity have been defining characteristics of all revealed faiths. According to Islam, piety cannot be attained if giving in charity is neglected. 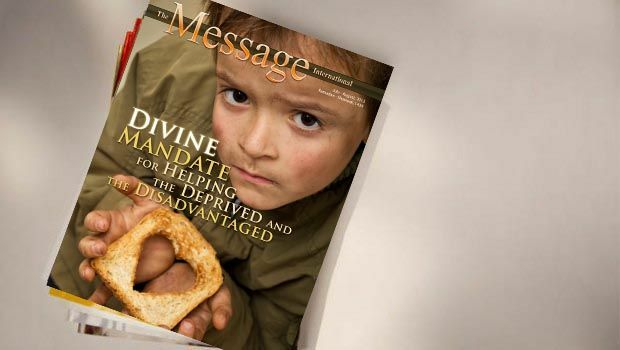 As the Qur’an says: “You cannot attain to righteousness unless you spend (in charity) out of what you love” (Al-Qur’an, 3:92).In fact, when someone suffers from hunger, illness, poverty, or any other misfortune or calamity, it is certainly a test from Allah (SWT). However, what we must be mindful of is that it is not just a test for that particular individual, but a test for all others as well, especially for those who are capable of alleviating the suffering of the afflicted one. In numerous places of the Qur’an, Allah (SWT) has reminded us about our responsibility toward less fortunate people. Only a few citations may suffice to indicate how serious it is according to Islam. In Surah Al-Ma’un, Allah (SWT) declares that harshness to orphans and neglect of the poor is a sign of disbelief and of denial of the Day of Judgment: “Have you seen the one who denies the religion? Such is he who repulses the orphan, and who does not urge others to feed the poor. Woe to worshippers, who are neglectful of their prayers, those who make a show [of piety], and refuse to render small acts of kindness [towards others]” (Al-Qur’an, 107:1-7). In SurahAl-Muddathir, one of the earliest revelations of the Qur’an, a moving scene from the Day of Judgment has been presented: “In Gardens they will ask the evildoers: ‘What caused you to enter the hell-fire?’ They will say, ‘We were not of those who prayed and we did not feed the poor. But we used to talk vanities with vain talkers and denied the Day of Judgment until it came to us that which is certain’” (Al-Qur’an, 74:39-45). In SurahAl-Fajr, Allah (SWT) calls to the people of ignorance who claim tohave a religion that brings them close to Allah:“No indeed! You do not treat the orphans with respect nor do you urge one another the feeding of the poor; and you devour the whole of inheritance greedily, and you love the wealth with all your hearts” (Al-Qur’an, 89:17-20). It is worth noting that zakat (poor dues) is one of the five pillars of Islam, which indicates the importance of helping the deprived and the disadvantaged. Zakat is actually an institution aimed at eradicating poverty by providing financial protection to the poor, the needy, the old and the weak, the unemployed, the disabled, the widows, and so on, regardless of whether they asked for it or not. Allah (SWT) has declared in the Qur’an that in everyone’s wealth there is a portion for the people who are deprived and disadvantaged:”And in their wealth and possession, there is right for the [needy], who asked and who [for some reasons] was deprived” (Al-Qur’an,51:19). Zakat is, therefore, not a worldly innovation, it’s a divine intervention. It is not giving any amount the giver wishes, as the rate of zakat is fixed and has to be paid accurately. If implemented properly, zakat functions as a means to eradicate poverty in the society; and it also simultaneously molds individuals into responsible and caring persons who are always ready to help the poor and those who are unfortunate. To sum up, the moral edifice of Islam requires Muslims to help people in need, whether they be on the right path or not, Muslims or non-Muslims. Giving in charity is not just an act of individual volition and inclination, but an incumbent duty upon all Muslims who are bestowed with wealth or any other resource such as time and energy to volunteer. To attain the good pleasure of God Almighty, we must submit ourselves to this divine commandment sincerely and wholeheartedly.